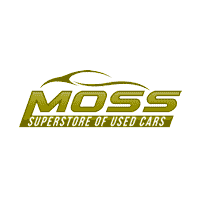 Moss Superstore is a used car dealership in Lafayette, LA that offers an array of auto brands to explore. From stylish pre-owned BMW models to sleek used Nissans and everything in between, we’re sure to have a competitively priced vehicle in stock that complements your on-road needs! With help from our friendly finance department, you can take that quality ride home today! Learn about the financial assistance we provide and how we can secure competitive auto loan rates that fall well within your budget, make your way over from Abbeville, LA to visit us now. Whether you have an ideal credit score, no credit at all or would like to explore bad credit financing options, our Moss Superstore team can assist. Drop by our dealership near Broussard, LA to complete your loan request or use our website to send your credit application to our finance team now. We’ll be in touch to review your loan options shortly. Our pre-owned dealership in Lafayette, LA enjoys extensive business hours, so don’t hesitate to drop by to get your loan process started today! We look forward to assisting with your financing needs soon.